Protected areas are at the centre of nature-based tourism, which is increasingly popular across the world. As visitor numbers increase, so does awareness of the harmful effects that large crowds may have on both natural resources and individuals’ recreational experience. 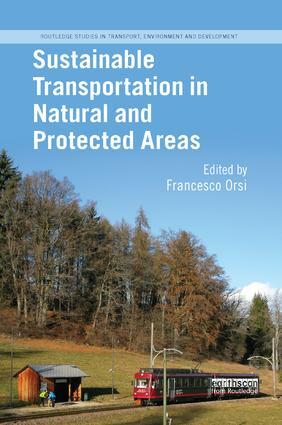 This volume considers the challenge of transportation to and within natural and protected areas, the improvement of which has already been recognised as having great potential for mitigating the environmental impacts of ecotourism. While several books have focused considerable attention to the management of protected areas in general, little has been said about the specific issue of sustainable transport, an emerging trend that is already reshaping visitation patterns in natural settings. This book provides current knowledge on issues associated with the transportation of visitors in natural and protected areas, and a comprehensive overview of the technical and strategic options available to tackle these issues. It approaches the subject via three main topics: preferences, or the visitors' attitudes towards transportation; practices, where current approaches are assessed through examples and case-studies of successful experiences and methodologies from around the world; and policies, where suggestions and recommendations are put forward for both local scale strategies and broad-scale regulatory action with global relevance. Contributors include academics in the field of natural resource management and tourism, with extensive experience in protected area management and active partnerships with natural park administrations.